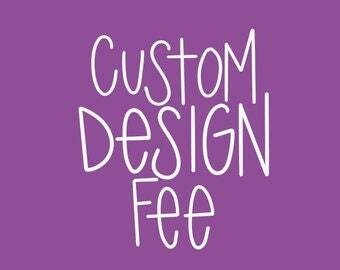 Purchase this custom order fee with another item from our shop when instructed to do so. Fee may not apply to all custom orders. Please inquire before purchasing this listing. 2: If there is a font involved, please identify which font you would like. If you are unsure, please just let me know if you would like it in print or cursive. If this will be a gift and will be sent directly to them, please let me know so I don't include the invoice in the packaging. How big of signs can you make? If I am local to you (Woodburn Oregon) can I save on shipping and pick up my sign? Yes! Absolutely. Message us for a coupon code for local pickup. No. At this time we are not shipping out of the U.S. Sorry to disappoint.